"I would absolutely love the opportunity to share what I do everyday with the public, not only to see what we do behind the scenes and all the hard work and dedication from the teamwork, but also to inspire the future generations of vets out there." I bred the pony Charger75v almost lost, whose life she saved, all the other vets had run out of options, Sarah was asked was there anything more possible and found a solution that worked, awesome vet. I am completely sure that Dr Sarah Goodwin should be the new bondi vet, not only for being an amazing vet, also for thr trust indeed in nurse staff, trying all the time that they improve the skill as vet nurse and share her knowledge with them.! Sarah is an incredible vet - from both the animals and their owners perspective. She is always happy to provide sound advice regrading my two Great Danes. I've also witnessed her in an emergency situation and her skill and professionalism are unmatched. She would be ideal for this role! 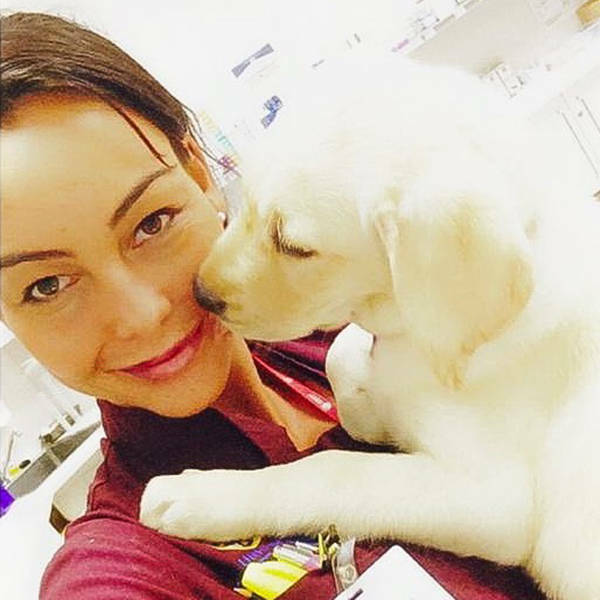 Sarah Jane is one of the most amazing vets out there, and the ideal Bondi Vet! You can tell she loves her job, and all creatures great and small. Kind, beautiful, supportive, with a winning smile. Molly (pooch) and I fully support Sarah for the job! There's an old saying if it looks like a duck and quacks like a Duck 🦆 it is a Duck. So producers she looks like a vet she works like a vet she lives in Bondi she is a Bondi vet I'm sure Sarah's your new Bondi Vet.